Need help with your framesize? Prescription lenses cover the full range glasses use from reading, driving, progressive vision, prescription sunglasses, and everything in-between. Custom reading lenses designed to correct your near vision and can be further personalized based on your usage. Utilizing the latest in technology, these lenses block the effects of harmful high-energy blue light emitted from fluorescent lights, LEDs, and digital screens. These are conventionally made lenses. The resolution will be similar to standard definition. Digital lenses are made by putting your prescription on the lens with finite precision. The result is HD vision. Seeing distances for tasks such as driving, walking, aiming or computer use. Reading or viewing objects at close range. Seeing distances and reading up close. Computer usage and reading up close. Seeing blue for tasks such as driving, walking, aiming or computer use. The top is clear with no power, the middle area can be used for short term computer use and the bottom is used for reading up close. Step : Please select one of the options below. Our standard clear lenses are perfect for a wide range of prescriptions and everyday use. Lenses reduce glare and eyestrain caused by digital screens and artificial light. Choose from a variety of tinted, mirrored, polarized and non-polarized lenses with 100% UV protection. Classic shapes and subtle edges make the 785 from 7 For All Mankind a nice blend of modern and classic. Suitable for all face shapes, this frame is a lovely addition as an accessory or primary pair of glasses. 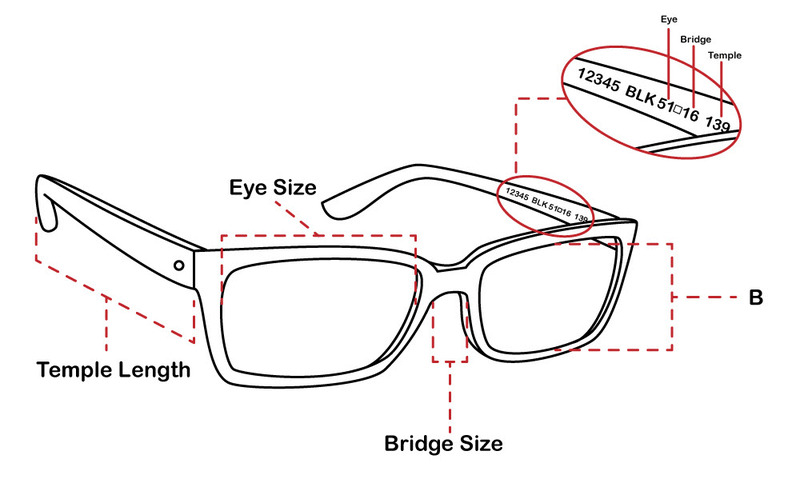 Made with high quality acetate, the 785 frame from 7 For All Mankind is complete with a logo inside the temples. You should receive your order within 1-2 week's time. Once your order has shipped out, you will receive an email notifying you of the tracking information. We really want you to love your order. That's why we offer full refunds on anything but prescription lenses (which are custom made and cannot be refunded). Returns must be in the entirety of the order and in resalable condition for the return to be accepted. • Frames: Our top priority is for you to be smitten with your glasses. That's why you have 30 days from when you receive your frames to return them to us for a 100% refund. • Contact Lenses: You can return any unopened, undamaged boxes to us for a full refund within a year of your purchase date. • Lenses: As lenses are custom made to your prescription, coating choice, and then cut to the shape of your frame, we cannot accept returns on lenses. However! If you feel there is a manufacturing error, we will accept the return and if our inspection shows that they were incorrectly made we will remake them for you for no charge. Please know that we do not currently have a system for free shipping on returns. As such, return shipping is to be paid for by the customer. For more information about returns please see our Returns Policy.